Whether you’re celebrating summer at a neighborhood picnic, pool party, camping trip or the beach, chances are your warm weather faire includes watermelon! It’s basically the national fruit of summer and I am here for all things watermelon. 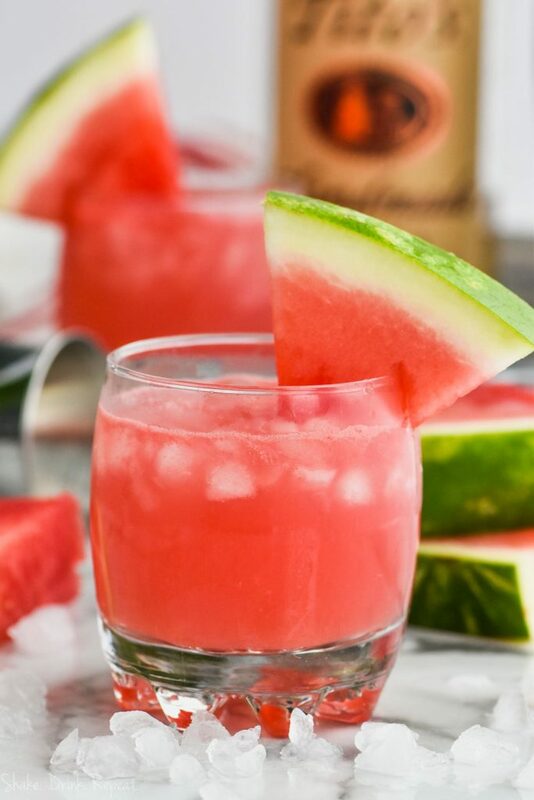 If you are too, you will LOVE this sweet, simple Watermelon Vodka Tonic. 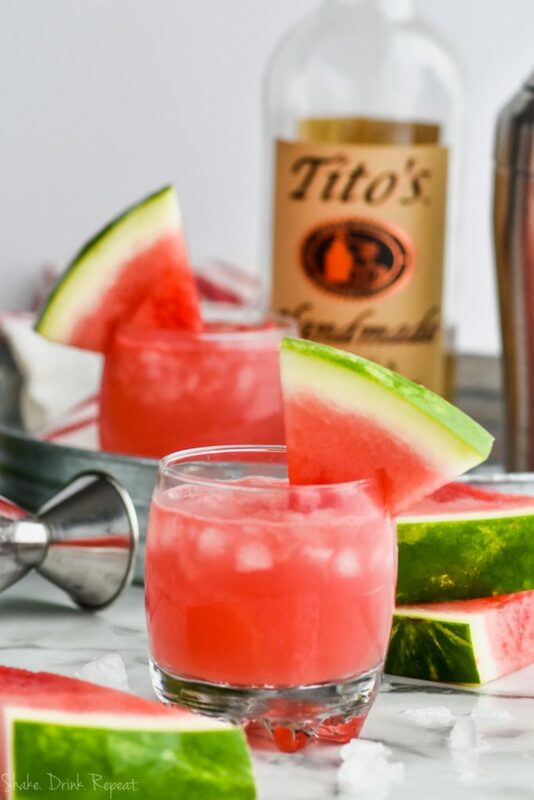 This gorgeous vodka tonic recipe variation features juicy, ripe watermelon in its finest form: paired with alcohol! 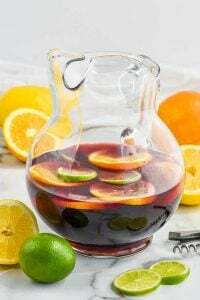 The sweet fruit, combined with tangy lemon vodka and refreshing tonic water will quench your summertime thirst and be a big hit at any gathering. 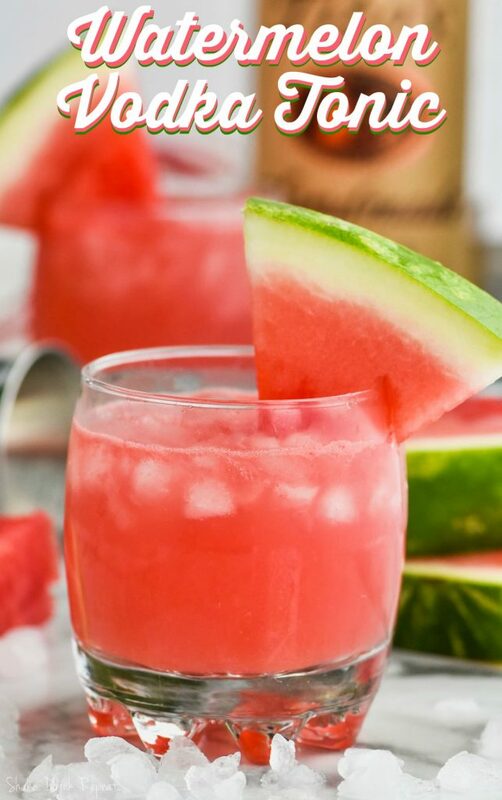 Watermelon packs a popular punch in many cocktails; try this Watermelon Rum Punch, Watermelon Pina Colada or this Watermelon Gin Punch and see what I mean. 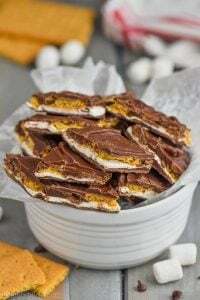 This recipe handily offers all of the ingredients you’ll need right there in the title! This refreshing beverage could not be easier to make, and it’ll make you all kinds of friends this summer. First up: watermelon. 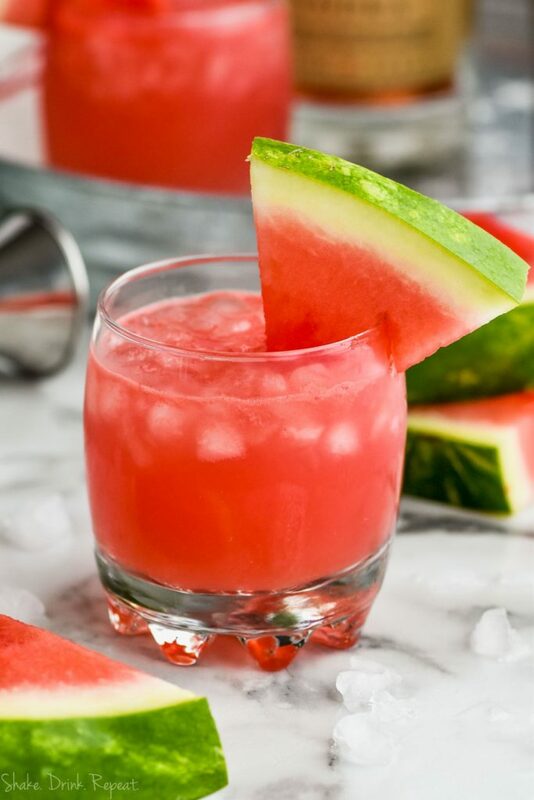 For two cocktails you will need about four ounces of juice, which will take about a cup of cubed watermelon. Just blend and strain to get your luscious juice. Next, vodka. If you prefer a sweeter drink (hello!) try Eddy’s Lemon Vodka. It is delish! You could also use it in this Basil Vodka and Lemonade or this Pink Lemonade Vodka Punch. 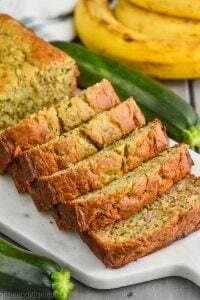 For a little less sweetness, use citrus or even regular vodka. No matter what, the watermelon will take center stage and taste wonderful! Finally, tonic water. 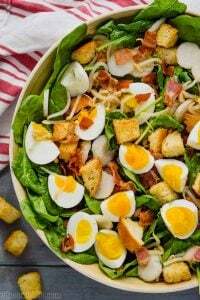 To keep calories lower on this recipe I used diet tonic and it’s perfect! Try it in this Cherry Lime Vodka Tonic or Elderflower Gin and Tonic. Combine your strained watermelon juice (see above), lemon vodka and tonic water together. Pour into two glasses filled with crushed ice. Don’t be surprised if you need to double or quadruple this light cocktail. It’ll keep you refreshed and recharged all summer! For some more vodka infused variations, try Lady Grey Infused Vodka Tonic or this peachy-keen Peach Vodka Smash. 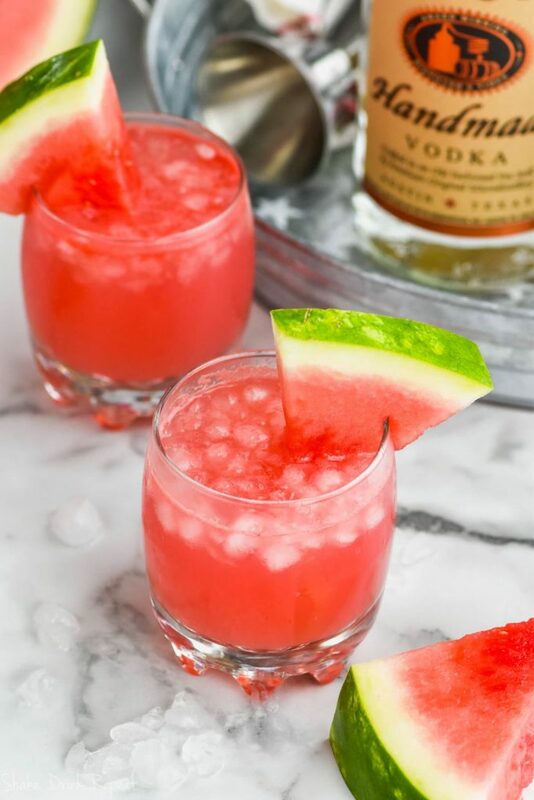 This Watermelon Vodka Tonic is the perfect light summer cocktail! Delicious, sweet, and totally refreshing! Combine all of ingredients and divide between two glasses filled with crushed ice.